Negligent Entrustment in Illinois: Can I Borrow Your Car? 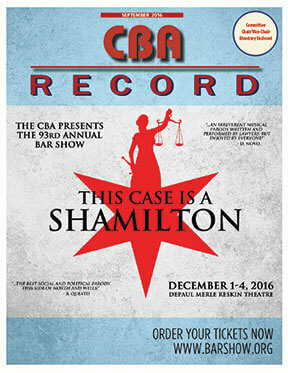 September 2016 – Grant Dixon penned an article for CBA Record, the prominent legal publication by the Chicago Bar Association. The topic is on negligent entrustment – the lending of one person’s property to another when the lender should know that the receiver is not qualified to use that property. The simple act of letting someone drive your car (or use your gun, i.e.) can have dire, life-altering consequences for the lender if the person borrowing the property is not properly suited to use it. September 13, 2016 – Q&A profile story on Grant Dixon ran in the Chicago Tribune. Mr. Dixon talks about why he loves his job, his favorite book and movie, a recent vacation, and his volunteer work. August 30, 2016 – Article on Mr. Dixon chairing the committee for the 25-year reunion for The John Marshall Law School on Sept. 9, 2016. August 12, 2016 – Dixon Law Office new trial attorney Kevin M. Sheehan is featured in this issue of the Chicago Daily Law Bulletin. Winter 2016 – A bylined article written by Dixon Law Office attorney Catherine D. Cavenagh is featured in this issue of the Trial Journal by the Illinois Trial Lawyers Association (ITLA). The article examines amendments made in 2011 by the Illinois legislature to the Workers’ Compensation Act that changed the way injured workers’ benefits are calculated. The most controversial change is the incorporation of the use of the most recent edition of the American Medical Association’s (AMA) Guides to the Evaluation of Permanent Impairment. 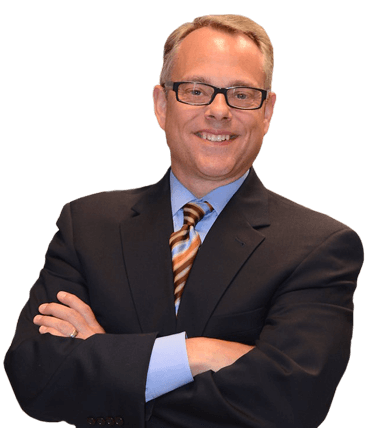 December 20, 2015 – G. Grant Dixon III is interviewed in this segment on Ringler Radio about car crashes and legal strategies in various auto accident cases that Dixon Law Office has handled. November 30, 2015 – Dixon Law Office is featured in this story about “15-themed” donations it is making to three area charities around the firm’s 15-year anniversary. November 23, 2015 – Dixon Law Office is featured in this story about how the firm is marking its 15-year anniversary with a series of “15-themed” donations to local organizations. November 11, 2015 – Grant and Susan Dixon are quoted in this cover story article about the donations the firm is making to local charities for the holidays around its 15-year anniversary. September 14, 2015 – Each year, the Western Springs Rotary Club hosts a Veterans and First Responders Steak Fry. Dixon Law Office is proud to be a part of this event each year. Read more about this year’s successful event in this Chicago Tribune story. September 3, 2015 – G. Grant Dixon III of Dixon Law Office in La Grange is representing a Chicago woman who was struck by a vehicle while crossing in a crosswalk. June 29, 2015 – Dixon Law Office is featured in this story about a jury delivering a $3.9 million verdict against a drunk driver for an accident in Oak Brook in 2011. Dixon Law Office represented the families in the case. June 23, 2015 – The Chicago Daily Law Bulletin wrote a front-page story about a recent Dixon Law Office verdict for $3.9 million in a drunk driving case. June 22, 2015 – NBC5 reporter Lisa Parker covered the story about a drunk driving personal injury trial in which the jury awarded the plaintiffs $3.9 million. Grant Dixon of Dixon Law Office handled the case and is interviewed in this news story. April 23, 2015 – Dixon Law Office obtained a $1.3 million settlement in a personal injury trial on April 22, 2015. March 20, 2015 – Grant Dixon was interviewed by WGN-TV as a legal expert to discuss the $26 million verdict against Yellow Cab and what this means for cab passengers. March 21, 2015 – The family of Naperville’s Emily Driscoll filed a lawsuit Friday against the Plainfield man who killed her and her dog with his car in November 2014. Dixon Law Office is representing the family. March 20, 2015 – In a lawsuit filed Friday in DuPage County, the family of Emily Driscoll filed a suit alleging wrongful death against Kenneth Holmberg, 74, of Plainfield. Dixon Law Office is representing the family. March 20, 2015 – Dixon Law Office was hired by the Driscoll family after the death of their daughter. Dixon Law Office founder, Grant Dixon, was interviewed by WBBM Investigative Reporter Cisco Cotto. Listen to the full interview here. December 30, 2014 – WGN-TV – Grant Dixon is a guest on the WGN Midday Show to discuss what you need to know to be safe when using ride-share services. December 30, 2014 – CBS2 Chicago – Grant Dixon serves as legal expert source for this TV news story about an Uber driver who was sharing a profile with his wife and was charged with sexual assault. November 12, 2014 – Dixon Law Office was hired by a Naperville family after the tragic death of their daughter. Dixon Law Office founder, Grant Dixon, was interviewed by WBBM Investigative Reporter Steve Miller. Listen to the full interview here. Dixon Law Office as heard on . . . .
Dixon, Western Springs Rotary president, working with Hinsdale Rotary on trip to Ecuador. Dixon Law Office has filed suit on behalf of two families seriously injured in a November 2011 crash. The lawsuit alleges the defendant driver was severely intoxicated when he crossed the centerline of York Road in Oak Brook, Illinois. The story was reported by the The Doings newspaper and can be found here. Dixon Law Office founder, G. Grant Dixon III, is often consulted by newspapers, television and radio stations from around the world to comment about various cases and legal topics. Below are just some of the media reports citing to Grant Dixon. LaGrange woman wins verdict against Pace Suburban Bus. (Pioneer Local, p.10, Dec. 10, 2009) Report on settlement in this matter. Notes G. Grant Dixon III as counsel for the plaintiff. FDA tells consumers not to use Zicam.Interview with G. Grant Dixon III on June 16, 2009 on CBS 2 in Chicago by Anne State. G. Grant Dixon III is quoted about a case against Zicam. Leading Lawyers Network Announcement. (The Doings, May 11, 2009). Peers recommend Dixon for Leading Lawyers Network (WSBA News, Feb. 2009). Article in Western Springs Business Association News discussing nomination of G. Grant Dixon III to Leading Lawyers Network. Fatal post-party crash spurs lawsuit (Chicago Sun Times, p. 18, Jun. 6, 2006) Article about a fatal car crash where G. Grant Dixon III in quoted on behalf of one of the victims. Lawsuit: Food Poisoning Brought $100,000 in Medical Expenses (NBC5.com, Mar. 9, 2006). Discussing filing of food poisoning case by G. Grant Dixon III of Dixon Law Office. Woman Suing Restaurant Over Food Poisoning in August (Chicago Sun Times, p. 12 (also online), Mar. 9, 2006). Discussing filing of food poisoning case by G. Grant Dixon III of Dixon Law Office. Woman Sues Blue Agave for Food Poisoning (CBS2CHICAGO.COM, Mar. 8, 2006). Discussing filing of food poisoning case by G. Grant Dixon III of Dixon Law Office. Lawyers: Docs, Hospitals ‘still strong team’ (Chicago Daily Law Bulletin, p. 1, Nov. 11, 2003). Discussing how hospitals and doctors continue to be unified in their defense of cases. Third I-90 Crash Lawsuit Filed Against Frontline (Northwest Herald, Nov. 13, 2003). Reporting on the filing of suit by plaintiff in Interstate 90 expressway crash outside Marengo, McHenry County, Illinois. Tollway Crash Survivor Sues (Chicago Sun-Times, Nov. 12, 2003). Reporting on the filing of suit by plaintiff in Interstate 90 expressway crash outside Marengo, McHenry County, Illinois. Ups and downs of a principal for a day (Chicago Sun Times, p. 2, Oct. 25, 2002). Discussing participation the Lend-a-Shoulder program with Chicago Sun Times columnist. Old Glory (The Doings, p. 3, Sept. 12, 2002). Photograph showing G. Grant Dixon III officiating during Flag Ceremony for Rotary Club of Western Springs Steak Fry. CSO Judicial Clerkship Program (John Marshall Briefcase, p. 14, v. 3, Issue 2). Reporting on panel discussion regarding Judicial Clerkships. Photograph included with G. Grant Dixon III and other panel discussion members. Dixon Co-Sponsor of Continuing Legal Education Program (John Marshall Briefcase, p. 13, v. 3, Issue 2). Reporting on the co-sponsorship by Dixon Law Office of the continuing legal education program at John Marshall Law School. Includes a photograph of G. Grant Dixon III. Dixon Law Office expanded and relocated (ISBA Bar News, p. 18, Nov. 1, 2001, v. 42, No. 7). Reporting on the relocation of Dixon Law Office including photograph of G. Grant Dixon III. La Grange Personal Injury Attorney Appointed (The Doings, p. 46, Oct. 18, 2001). Reporting the appointment of G. Grant Dixon III to the Board of Managers of the Illinois Trial Lawyers Association. Downstate lawyer finds a focus early in career (Chicago Daily Law Bulletin, p. 1, Oct. 10, 2001). Report of bad faith claims against Warrior Insurance Company. Quotes G. Grant Dixon III as expert and author on topic. Money for School (Suburban Life, p. 12, Sept. 22, 2001). Report and photograph of G. Grant Dixon III awarding money on behalf of the Rotary Club of Western Springs for college scholarships. In the News (Chicago Daliy Law Bulletin, p. 3, Sept. 7, 2001). Report of G. Grant Dixon III selection as Director of the Rotary Club of Western Springs. “Lend a Shoulder” Visitor for a Day (Back of the Yards Journal (Chicago), p. 1, November 22, 2000). Report on the visit by G. Grant Dixon III to St. Joseph’s School in Chicago on “Lend a Shoulder Day” for Catholic Charities. La Grange attorney discusses auto accident and premises liability cases (ISBA Bar News, p. 17, November 15, 2000). Noting the presentation by G. Grant Dixon III to the Illinois State Bar Association Tort Law Section on October 9, 2000. Dixon addresses students (The Suburban LIFE Citizen, p. 6, October 1, 2000). Reports on presentation of “C. Grant Dixon III ” to students at John Marshall Law School. Also notes the starting of Dixon Law Office. Students get advice on key part of job-hunt process (Chicago Daily Law Bulletin, p. 1, September 15, 2000). Photograph of G. Grant Dixon III lecturing students at John Marshall Law School. Amoco settles suits in worst cancer cases (National Law Journal, p. A4, Mar. 27, 2000). Reporting on the settlement of five cases in the matter. Notes G. Grant Dixon III is leading the charge of many other plaintiffs. Talk America; The Gene Burns Radio Talk Show (January 10, 2000). National radio talk show based in Boston, Massachusetts, interviewed G. Grant Dixon III regarding contingency fees and their propriety with specific focus on the tobacco litigation. John Marshall Students Tipped on Careers in Health Care Law (Chicago Daily Law Bulletin, p. 1, Nov. 16, 1999). Photograph of Kevin G. Burke, Rudolph Schaade, G. Grant Dixon III, Dean Robert Gilbert Johnston, and William Chamberlain memorializing seminar on healthcare law at John Marshall Law School. G. Grant Dixon III was the moderator of the event. The Week That Was; The Week Ahead (The Chicago Sun-Times, p. 8, November 7, 1999). Amoco Cancer Claims Grow (Chicago Sun Times, p. 9, October 19, 1999). Report on filing of three new brain cancer cases against Amoco Corporation. One of the cases, by a former contractor, was the first suit against the company by a person with brain cancer who was not an employee of any Amoco company. Million Dollar Settlements (Chicago Lawyer Magazine, p. 25, 31, Oct. 1999). Annual survey of multi-million dollar settlements in Illinois. Highlights two settlements of G. Grant Dixon III – Kline v. Power Contracting, 97 L 13253, with Shawn Kasserman for $3,000,000 and Perrone v. Kenny Construction, 97 L 13257 for $1,250,000 (this amount is a mis-print, the actual amount of the settlement was $1,325,000). Amoco Employee Asserts in Illinois Complaint that he was Exposed to Toxic Fumes (Emerging Toxic Torts, p. 10, Aug. 18, 1999). Article discussing suit against Amoco and allegations made in that complaint. Notes G. Grant Dixon III as counsel for the plaintiff. Amoco Cancers Linked (Chicago Sun Times, p. 1, Aug. 6, 1999). Article discussing finding of link between workplace and cancer. Quotes G. Grant Dixon III as counsel for certain plaintiffs. A Stubborn Mystery (Chicago Daily Herald, p. 1, Aug. 6, 1999). Article discussing finding of link between workplace and cancer. Quotes G. Grant Dixon III as counsel for certain plaintiffs. BP Lab Linked to Cancer (Chicago Sun-Times, p. 8, August 6, 1999). Reports Fail to Soothe Families Hurt by Cancer Cluster Effects (Chicago Daily Herald, p. 7, August 6, 1999). Something in the Air? (Business Insurance, p. 1, July 26, 1999). Article discussing problems at Amoco Research Center in Naperville. Focus on ventilation issues and employer prevention. Quotes G. Grant Dixon III as counsel for certain plaintiffs with suggestions for employers on how to prevent this type of tragedy. Brain Cancer Cases Lead to Suits Against Amoco. (Fulton County Daily Report, July 13, 1999). Did Amoco’s Efforts to Help Ill Employees Backfire? (The Recorder, p. 3, July 13, 1999). Did Amoco’s Efforts backfire? (National Law Journal, p. 1, July 12, 1999). Article discussing propriety of Amoco study regarding cancer victims at Amoco Research Center in Naperville, Illinois. Quotes G. Grant Dixon III extensively as representative of several plaintiffs. Amoco Cancer Study Delayed (Chicago Sun Times, p. 8, June 3, 1999). Article discussing continued delay of Amoco in releasing study pertaining to cancers at Amoco Research Center in Naperville, Illinois. Quotes G. Grant Dixon III extensively. The Price of Pain (Chicago Magazine, May, 1999). Article discussing hypocrisy of legislators and executives in Illinois government by advocating tort reform and yet using the legal system for their own tort cases. Quoting G. Grant Dixon III. BP Amoco Reportedly Could Face Multi-billion Dollar Cancer Lawsuits (Extel Examiner, Company News, April 11, 1999). BP Amoco Reportedly Could Face Multi-billion Dollar Cancer Lawsuits (AFX News, Company News, April 11, 1999). Cancer Timebomb Threat in BP Deal (Financial Mail (London, England), p. 1, April 11, 1999). London paper discussing Amoco Naperville case and monetary exposure to BP Amoco. Quoted G. Grant Dixon III on potential value of cases. Ex-Amoco Worker Files Suit (Chicago Daily Herald, p. 7, April 10, 1999). La Grange resident authors article (La Grange (Illinois) Free Press, sec. 1, p. 25, Apr. 8, 1999). Note in local paper mentioning article by G. Grant Dixon III titled Bringing Bad Faith Refusal to Settle Claims as printed in the Illinois State Bar Journal. Caesar would be envious (Chicago Daily Law Bulletin, p. 3, Mar. 22, 1999) Reporting on verdict in Capparelli v. Wal-Mart and settlement in Perrone v. Kenny Construction. Both were accomplished by G. Grant Dixon III on March 15, 1999. Amoco Oil Company, Naperville (Mar. 10, 1999, CBS Television, Morning News). Interview with G. Grant Dixon III aired on national television. Reporting on suits against Amoco Oil Company and chemical exposure to employees at the Naperville, Illinois, facility. $3 million accord in worker’s injury suit (Chicago Daily Law Bulletin, p. 3, Feb. 12, 1999). Reporting on settlement in Kline v. Power, 97 L 13253. Shawn Kasserman and G. Grant Dixon III obtained $3,000,000 settlement on behalf of Marlin Scott Kline for injuries he received in construction incident in which backhoe tipped into water-filled trench causing brain injuries. AP Photos (AP Worldstream, International News, January 27, 1999). A Deadly Mystery: Why Did Amoco Lab Scientists get Brain Tumors? (The Republic (Columbus, Indiana), Section A, p. 7, Jan. 25, 1999). Reporting on cancer mystery at Amoco 503. Quoting Grant Dixon representing several plaintiffs. Mystery in Building 503 (Daily Southtown, Living Section, p. 1, Jan. 25, 1999). Reporting on cancer mystery at Amoco 503. Quoting Grant Dixon representing several plaintiffs. A Deadly Mystery: Why Did Amoco Lab Scientists get Brain Tumors? (AP Wire: State and Regional, January 24, 1999). Mystery in Building 503 (Naperville Sun, p. 1, Jan. 24, 1999). Reporting on cancer mystery at Amoco 503. Quoting Grant Dixon representing several plaintiffs. Amoco, Families Search for Cause of Brain Tumors (Myrtle Beach, S.C., Sun News, Sec. D, p. 1, Jan 24, 1999). Reporting on cancer mystery at Amoco 503. Quoting Grant Dixon representing several plaintiffs. Deadly Crossing Must Be Fixed (The Doings, p. 19, Jan. 8, 1999). Letter to the editor complaining of dangerous crossing in Bemis Woods. Additional Cancer Victims File Lawsuits Against Amoco (Daily Herald, Business Section, p. 1, Jan. 6, 1999). Reporting the filing of several more suits against Amoco by Grant Dixon on behalf of several clients. Lawsuits Related to Tumors Multiply on Amoco’s Final Day (National Journal’s Daily Energy Briefing, Natural Gas Industry, January 6, 1999). More Tumor Victims Sue Amoco. (AP Wire: State and Regional, January 5, 1999). New Cancer Case Sparks Suit Against Amoco. (Chicago Daily Herald, April 3, 1998). Reporting the filing of several more suits against Amoco by Grant Dixon on behalf of several clients. Clues Converge on Amoco Cancer (Chicago Tribune, Business Sec., p. 1, Oct. 23, 1998). Reporting on clues in Amoco suits. Quoting Grant Dixon as counsel for one of the plaintiffs. Nightmare in Building 503 (Chicago Magazine, p. 95, Sept. 1998). Investigative report of Amoco cases. Quotes Grant Dixon as one of plaintiff’s attorneys. Legal Groups Plan Salvo at 7th Circuit Investor Ruling (Chicago Daily Law Bulletin, p. 1, July 10, 1998). Discussing proposed amicus curiae brief in case of Estock v. First Nat’l Bank by Illinois Trial Lawyers. Quoting Grant Dixon on the preparation and why Trial Lawyers were filing brief. Man with Cancer Sues Amoco, Wants Info on Building 503 (Naperville Fre, April 3, 1998). Reporting on filing of suit in Amoco Naperville cancer case by Grant Dixon on behalf of the plaintiff. Cancer Saga at Lab Takes Fresh Twist (Chicago Tribune, Jun. 10, 1998). Reporting on filing of suit in Amoco Naperville cancer case by Grant Dixon on behalf of the plaintiff. Amoco Oil Company, Naperville (Apr. 16, 1998, WLS TV Chicago). Television report discussing suit against Amoco Oil Company and chemical exposure to employees at the Naperville, Illinois, facility. Ex-Employee Asks Amoco to Release Cancer Data. (Chicago Tribune, p. 3, April 3, 1998). New Cancer Case Sparks Suit Against Amoco. (Chicago Daily Herald, Business section, p. 2, April 3, 1998). Hinckley Plane Crash Settlement Not Closed (De Kalb Daily Chronicle, Sec. 1, p. 1, Jan. 18, 1998). Reporting problems with defendant paying agreed settlement amounts and mentioning Grant Dixon, Lead Plaintiffs’ Counsel. Five Years Later (De Kalb Daily Chronicle, Sec. 1, p. 1, Sept. 7, 1997). Reporting on the tragedy of the Hinckley Parachute Center crash after five years. Quoting Grant Dixon as Lead Plaintiffs’ Counsel. Uniforms May Be Hyatt Attack Clue (Chicago Tribune, MetroChicago Sec., p. 1, July 10, 1996). Reporting on police investigation of attacks at Hyatt Regency in Chicago. A plaintiff in one of these attacks was represented by Grant Dixon. Suit Charges Hyatt with Lax Security (Chicago Daily Herald, July 10, 1996). Reporting on filing of suit as a result of one of the attacks at Hyatt Regency in Chicago. Plaintiff was represented by Grant Dixon. Possible Clue in Hyatt Case (Chicago Sun Times, p. 3, July 10, 1996). Reporting on police investigation of attacks at Hyatt Regency in Chicago. A plaintiff in one of these attacks was represented by Grant Dixon. Air-crash Suits Transferred (1994). Reporting transfer of Hinckley Parachute Disaster cases to De Kalb County. Plane Owner Cited in Death of Skydivers (Chicago Tribune, Sec. 2, p. 6, Dec, 3, 1993). Reporting on NTSB finding and citations after Hinckley Parachute Disaster. Upkeep Cited in De Kalb Plane Crash (Chicago Sun Times, p. 30, Dec. 3, 1993). Reporting on NTSB finding and citations after Hinckley Parachute Disaster. Chutist’s Plane Crash Linked to Engine Upkeep (Chicago Tribune, DuPage Sec., p. 1, Jun. 3, 1993). Discussing Hinckley Parachute Disaster and the NTSB findings. Quoting Grant Dixon as one of the attorneys for one of the families of the victims.